Have you ever been with a group of people where no one would make the first move or take the initiative? Were people in the group shy and didn’t want to stand out? Did they feel intimidated? Or, was there something else that caused them to not take the initiative? I have seen something very interesting happen in these group settings. After a few moments of uncomfortable silence, one person inevitably takes the initiative to act. He/she takes the initiative and get up to start working. From there, many others begin to act and follow suit. The true leader is the first person to take the initiative. On the website Then Life Happens, Darren Sproat explained initiative as, “In its simplest form, taking initiative is doing without being asked to do.” Taking the initiative means making the first move, being willing to do what others don’t want to do, or stepping up to make an introductory act or step leading to action. If you take the initiative, you are willing to be uncomfortable if it means the result is better than what you have to sacrifice or the discomfort you must go through when taking action. 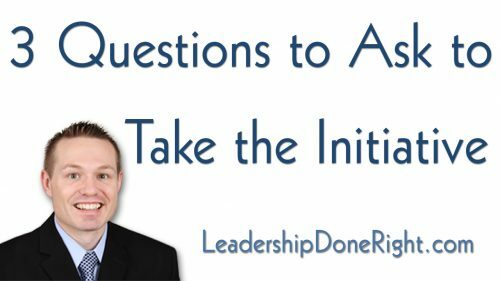 Leaders constantly take the initiative to get things done. They step up to make things happen. 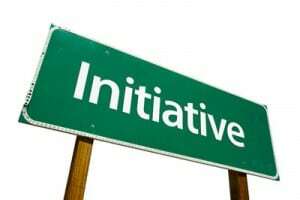 [Read more…] about Do You Take The Initiative?